7 years of owning a Bajaj motorcycle and there are not enough adjectives in the dictionary to describe my frustration. Everyday begins with the same thought, “Aaj kya hoga”. Translated that means “what will happen today” is a very sarcastic way. The older Pulsar owners will know what exactly I am talking about. If you have a Bajaj motorcycle that was manufactured earlier than 2008 chances are that you have a very serious relationship with your service station. Lets not go into details of what all is wrong with my bike, but let me just say that almost every part except for the chassis has been changed, some several times. Of course even I have contributed with my fair share of tumbles. But enough of this, truth be told I still would not trade it in for anything in this world. If you own any Bajaj product then you know that you are mostly problem free for the first year. And just like that laptop of yours that throws issues at you the very next day the warranty expires so does our Bajaj. There is a very funny but good flipside to this as well. The regular issues is what prompted me to go DIY on the bike. I now have the entire set of tools to take apart the bike and know to fix pretty much anything that does go wrong. Spares too are super cheap. Add to this the sense of accomplishment that you get after working on your machine and it works perfectly, Ah! few things come close. The long term ownership also makes me sort of a specialist in Pulsar problems, a diagnostician of sorts. Just tell me the sound/type/where of the problems and in all probability I can tell you what your Pulsars issue is. But this is not even the reason why I love Bajaj as a company. All the things I have said so far I think you will experience with any long term ownership of a motorcycle. Motorcycles are all about energy. There is something that makes riding a motorcycle almost a therapeutic experience. And this very energy is directly related with youth and Bajaj in the past decade or so have concentrated on the youth. The very way they present their motorcycles you just feel connected to them. Remember the Avenger ad? How classy was that? There were a whole lot of cool ads in between and then came my all time favourite the Pulsarmania ballet. Even today the Pulsar ads are probably the most fun to watch, probably the only other company doing something similar is TVS. Then came the big purchase of KTM, what a move that was. And now we have made in India KTM’s running all over the world, with more in the pipeline. The Dukes and the RCs have really changed the way we ride. Coming back to the Pulsars we still have so many more in the pipeline. Each looking more interesting and fun than the other. The first full faired Pulsar is just around the corner and it would very well be the Pulsar 200 SS that comes out first. 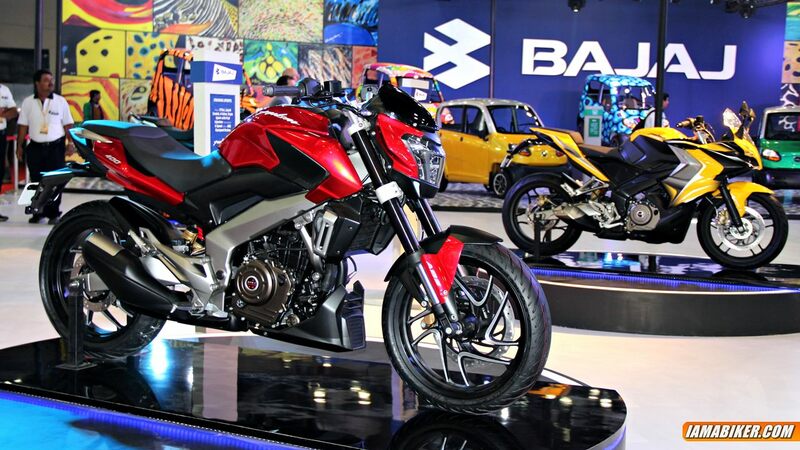 Then we have its 400 cc version the Pulsar SS 400 that was showcased along with the Pulsar CS 400 as the last Auto Expo. The Pulsar CS 400 was something that was really not expected and what an elegant looking machine that is. And just when you thought there could possibly be no more variations, out came the Pulsar 200 AS. Okay, maybe they went a bit overboard with the 200 AS as it probably is not exactly adventure ready, but hey it is a step in the right direction right? Bajaj as of now is the only Indian company whose thoughts are aligned with what the rider wants. Every announcement they make creates a frenzy. Everybody is keenly watching what they are going to do next. Count on them to keep the motorcycling enthusiasts on their toes guessing and expecting. And that’s how it should be, imagine if all the others, or at least few of the other Indian manufacturers had this same energy, I would have had sleepless nights every other day. Right now I’m pretty sure I am coming off strongly as a Bajaj and Pulsar fan boy. But not in the near future will I buy a Bajaj again. Not until their build quality team takes couple of giant leaps ahead. But as a motoring and more importantly a motorcycling enthusiast, I really am looking forward to these machines from Bajaj and sure hope they continue spearheading the Indian motorcycle market and push other manufactures also to experiment and catch up.